Yesterday, we brought you “Secrets Of Organized People” with help from Organizing and Storing Expert, Emma Gordon of Clutter. In our week-long series we move on to the next set of tips … Secrets Of People Who Have Clutter Free Homes! Yes, we know that many of you may be thinking that a clutter-free home in absolutely unattainable. Honestly, it isn’t. However, it does take a little bit of discipline and possibly a whole lot of re-working your mindset. Secret Number One: Save time straightening your house with this simple technique. Grab an empty laundry basket with paper towels, all-purpose cleaner, and a small garbage bag. Work clockwise through each room, wiping down surfaces as you go, and using the laundry basket to hold items that don't belong in that room. 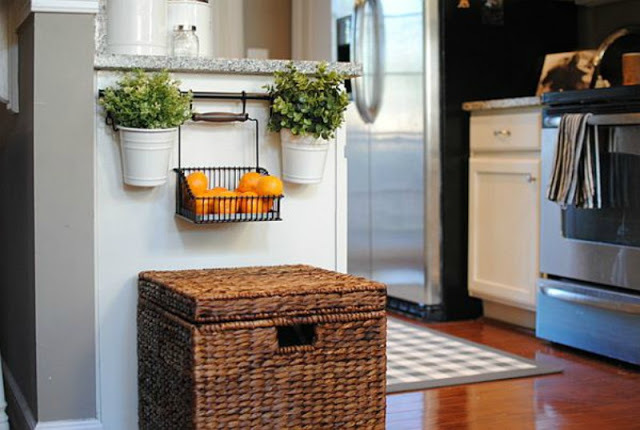 Before moving to the next room, check the basket to see if there is anything you picked up from another room that needs to be put away, and then repeat in the next room. Secret Number Two: Make the most of your kitchen and closet storage by rotating out seasonal items to make more space for the things you use more frequently. Holiday cookie cutters, fondue pot, tamale cooker -- if you only use it during the holidays, it's time to stow it all away to make space for spring and summer items. Secret Number Three: Make the most of your cleaning day by hiring service startups to come directly to your door and handle boring tasks while you get your spring cleaning done. Get all your seasonal items safely stored away (and out our your way) by scheduling a storage pick-up with Clutter.com. Use STRATIM to get your car washed, gas tank filled and returned to your driveway. Or use Handy to get help with everything from furniture assembly, window washing, to fixing your garbage disposal.